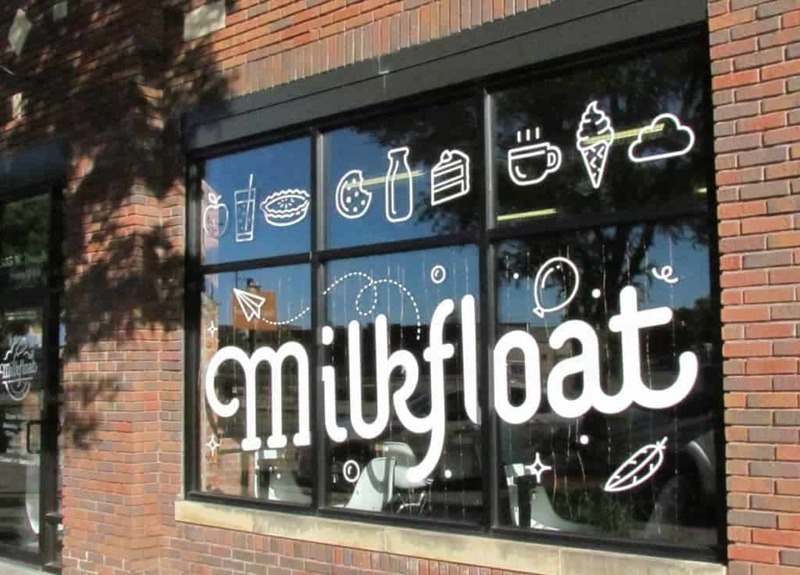 In the Delano area of Wichita, we stumbled upon Milkfloat. 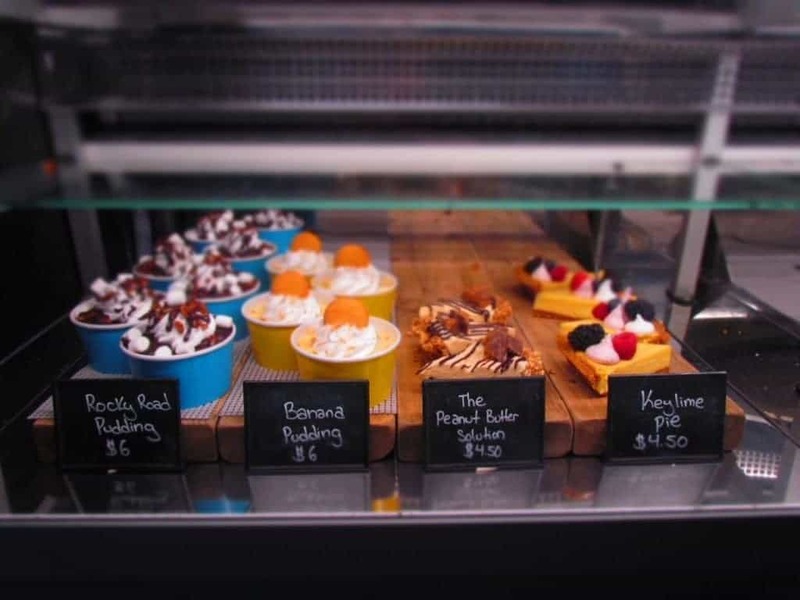 This interesting dessert shop is only about six months old, but is already creating a lot of buzz around town. We had just finished walking off a magnificent dinner at a nearby restaurant, and decided it was fate that landed us at the doorstep. Once we determined the type of shop we had found, our next question was about the interesting choice of name. The term “milk float” refers to horse drawn wagons in the olden days, which would deliver fresh dairy products to customers. The owners of this unique store, with a renaissance name, wanted to associate their products with the use of fresh ingredients and local suppliers. Upon entering their establishment, we could also see it was about offering a relaxed atmosphere in which to enjoy their specialty desserts. Now I don’t know about you, but I have no issues with partaking in delicious treats. Studying the glass-fronted cases at Milkfloat was creating a bit of decision anxiety. There were so many great choices, but I knew that I should only have one. I ran through all of the reasons in my mind why I should sample everything, but the recent dinner in my stomach kept bring reality crashing back down. 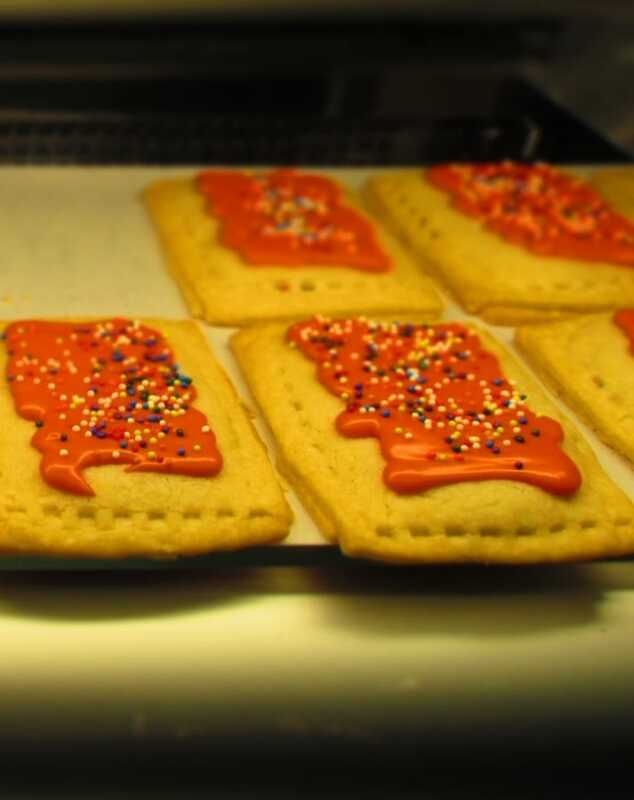 I made note of the handmade pop-tart style treats. These would make a great breakfast. I didn’t say nutritious, I said great. These I would pass on for now. My hope was that Crystal would choose one, and then I would still get to try it. I know it’s a little devious, but all is fair in love and desserts. We watched other shoppers enter, walk up to the counter, order their treats, and then proceed to head to a table to savor them. How could they be so nonchalant about such an important decision. I decided they must be locals, who can always drop back by on another day for a different choice. That is one drawback to being a traveler. You are often limited in the chances you have to sample a specific location’s offerings. Finally the realization hit me that these other customers may end up buying the dessert that I ultimately would want. Time to make my own decision, but it was so hard. Crystal had clearly not suffered with the same decision making issue that I had. She had already ordered a chocolate shake, and was watching it being constructed. Now that she had committed to a liquid dessert, it made my decision much easier. I knew a more solid item would fit well with her choice, and we would end up sharing each others. 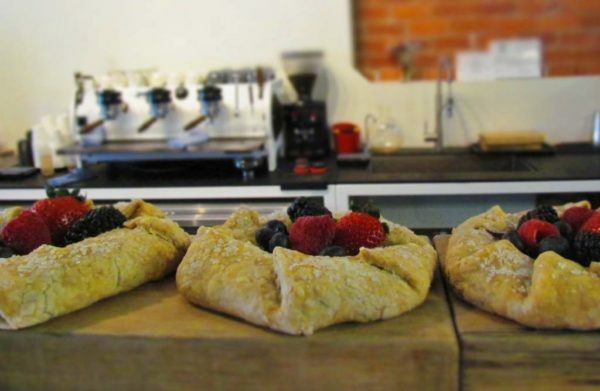 The fruit filled galettes sat atop the display case, but I passed on them, as I moved down toward the layered cakes. Served in glasses, these single serving size treats would make a nice compliment to a shake, but not tonight. Still further down the case I moved, until I came to the crème de’ la crème. My choice beamed at me with its beautiful yellow filling, and delicate ornaments. The Key Lime Pie had to be it. We paid for our treats, and headed to a nearby table to sample them. They were everything we had imagined, and then some. 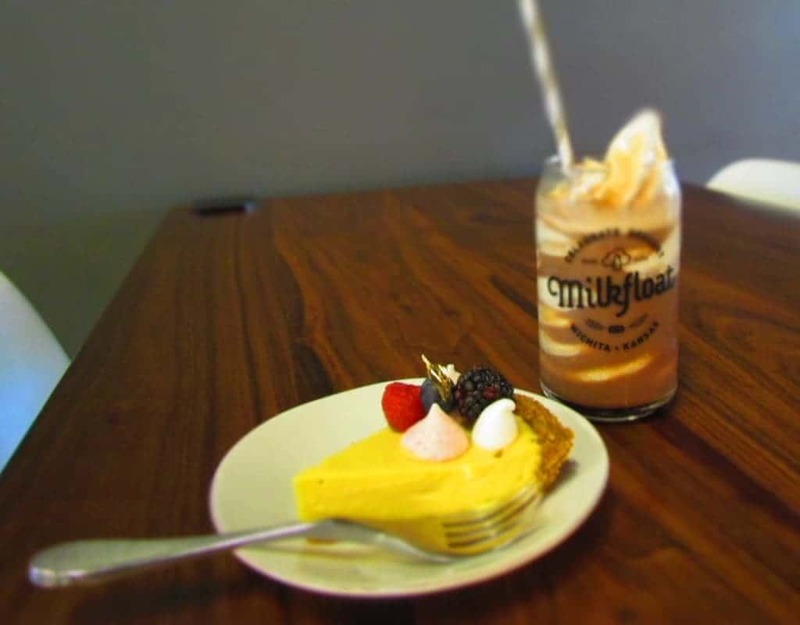 The shake was creamy and fun, while the pie was bursting with flavor. after finishing every crumb, we said our goodbyes to staff. We thanked them, and headed out into the Wichita evening, knowing we had found a “sweet” hidden gem.